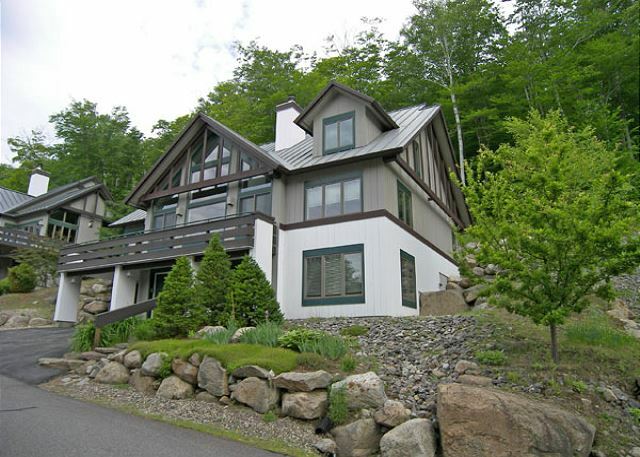 This beautifully finished mountain home sits in Coolidge Falls, with spectacular views from just about every room of the Loon Mountain ski area about .25 mile away across the valley. On the entry level you with find a spacious bedroom with a double bed, a sofa and a full attached bath. Also found on the entry level are the laundry room with washer and dryer and access to the garage. The main living level is located on the second floor of the home. The main level offers open concept living with exquisite pine floors throughout, a cathedral ceiling and plenty of glass to enjoy the view. 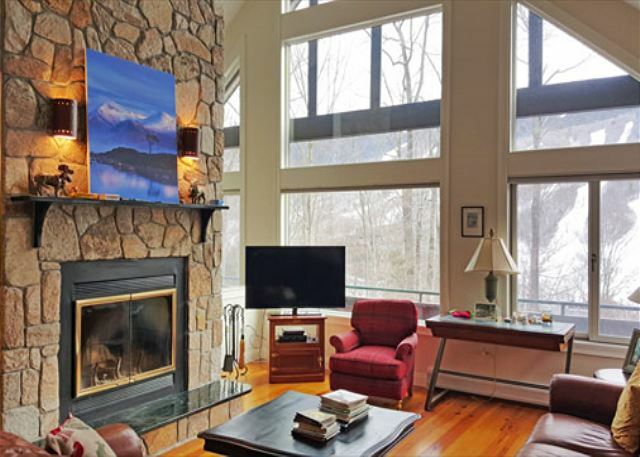 The living area offers a large flat screen television and wood burning fireplace. 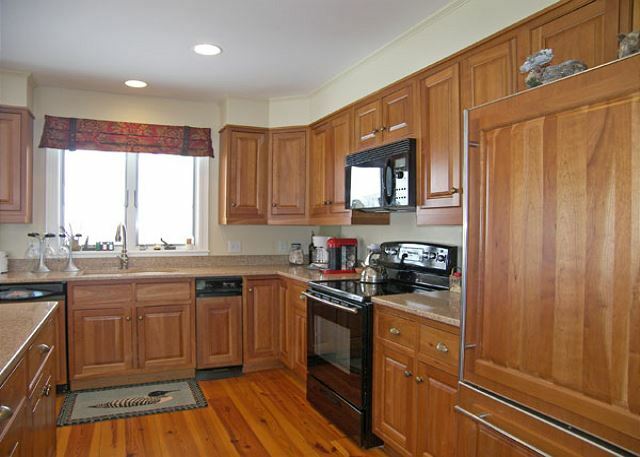 The kitchen has granite counter tops, finished cabinets, high-end appliances and a bar counter leading to the dining area making it a wonderful place to entertain family or friends. Directly off the living room is a sun room, one of the coziest spots in the home. 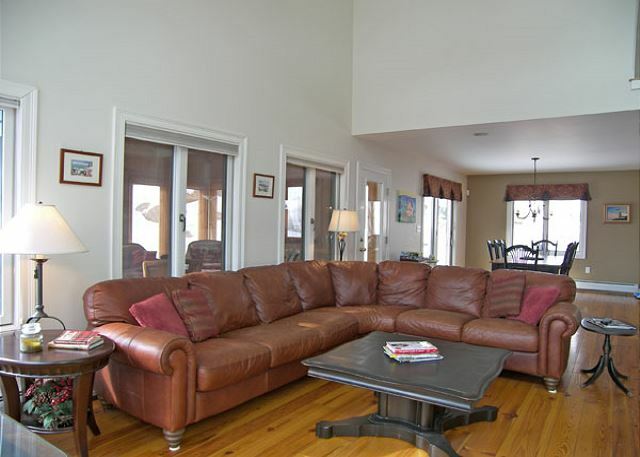 The front deck with its wonderful mountain view is accessed from the sun room as is the back patio. 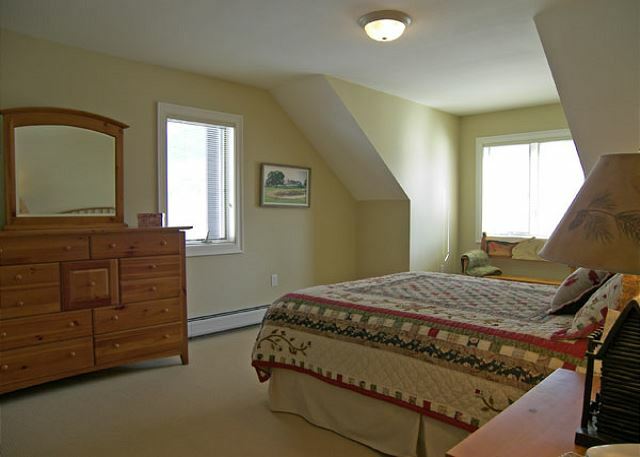 The half bath as well as the master bedroom with in-suite bath are also located on the main living level. 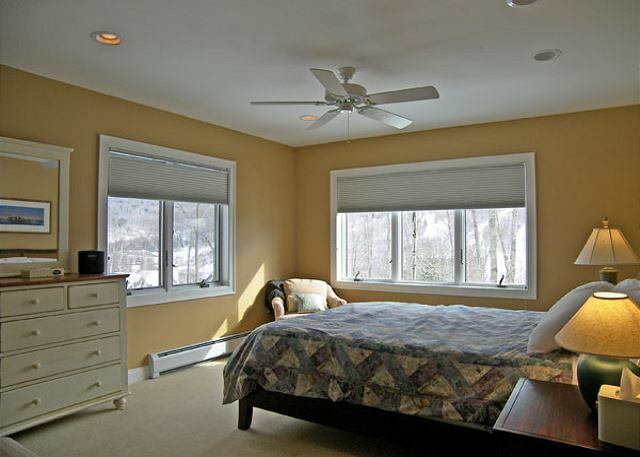 The master bedroom has a queen bed and air conditioning while the master bath offers a glass enclosed shower and a jetted tub. The third (top-most) level of the home holds three bedrooms and a full shared bath. 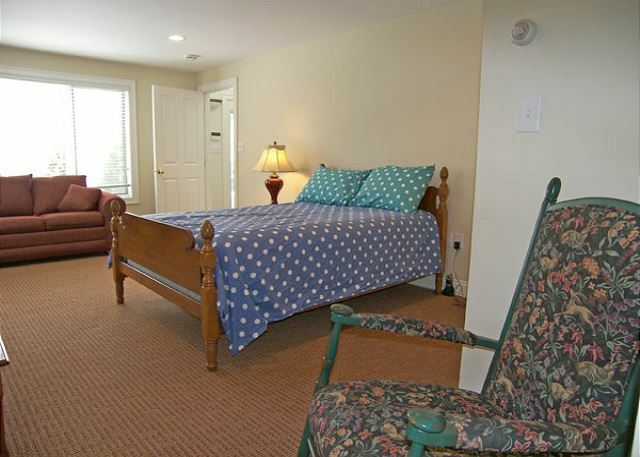 The first bedroom has a queen bed and air conditioning, the second a queen bed and air conditioning and the third offers two twin beds and a set of bunk beds. 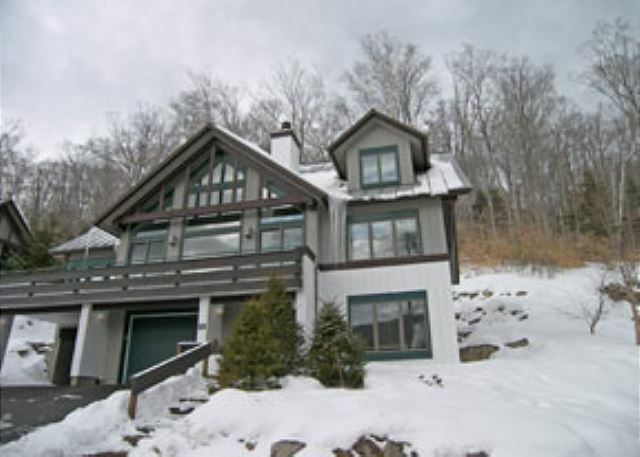 While here enjoy access to the Mountain Club on Loon Fitness Center with exercise room, indoor pool, and outdoor pool with hot tub. *Please note pet dander may be present in this home. My friend and I had a great weekend hiking and cycling in the area. The house was just perfect for our need and we found everything we needed. Stayed here with my sister and our families. Plenty of room for 12 people to sleep and eat. Two of the bedrooms have their own private baths. Kitchen table big enough for all of us to play games. And the location was close to all of the activities. Also gives you a pass to Loon Mountain Club to use pools. Beautiful pool at base of mountain. Would definitely recommend this house!